The home had been in one family for more than 40 years when a builder bought it in 2008 and tried to flip it after tacking an awkward two-story addition onto the rear. The new section had scant natural light and a disjointed layout. “It was obvious why it didn’t sell,” Megan says. 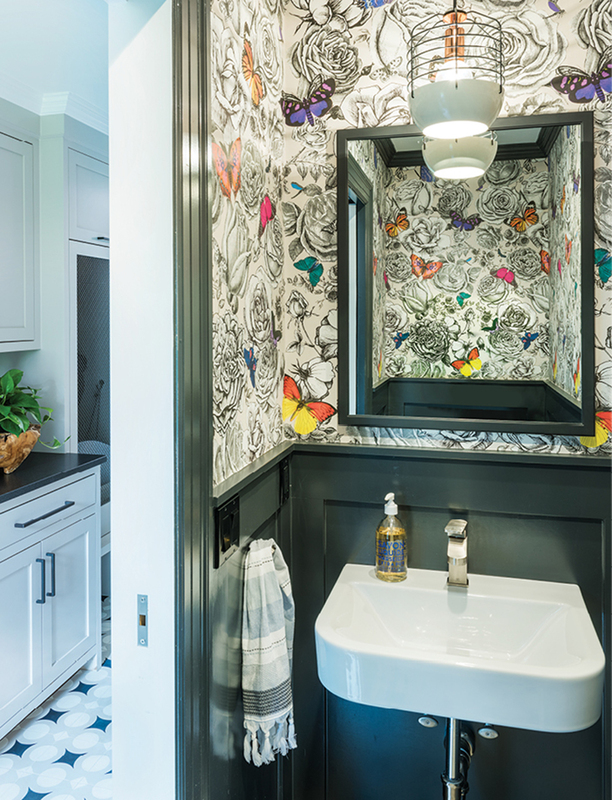 But the neighborhood—with its towering oak trees, sprawling lawns, and kid-friendly sidewalks—was idyllic, and at 5,000 square feet, the house had ample space to work with. So the couple, who’d relocated for John’s job and were renting nearby, made an offer and soon moved in with their three children, now ages 14, 11, and eight, in March 2014. They planned to renovate in phases—until Mother Nature threw them a curve ball the following winter: Water started pouring into the kitchen, the family room, and two of the kids’ bedrooms due to ice dams, and suddenly the Dyers found themselves tackling all of their projects at once. They hired architect Kent Duckham, of Duckham Architecture & Interiors in Needham, and general contractor Steven Overstreet, of S.J. Overstreet Construction Co. in Stoughton, and got to work. 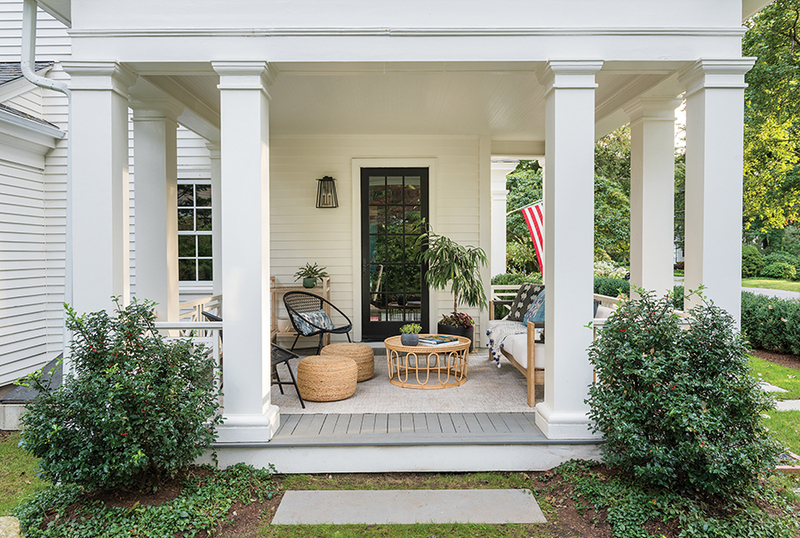 The general aesthetic of the exterior would remain the same—a traditional façade that fit into the neighborhood—but the inside would be “more modern and eclectic,” Megan says. 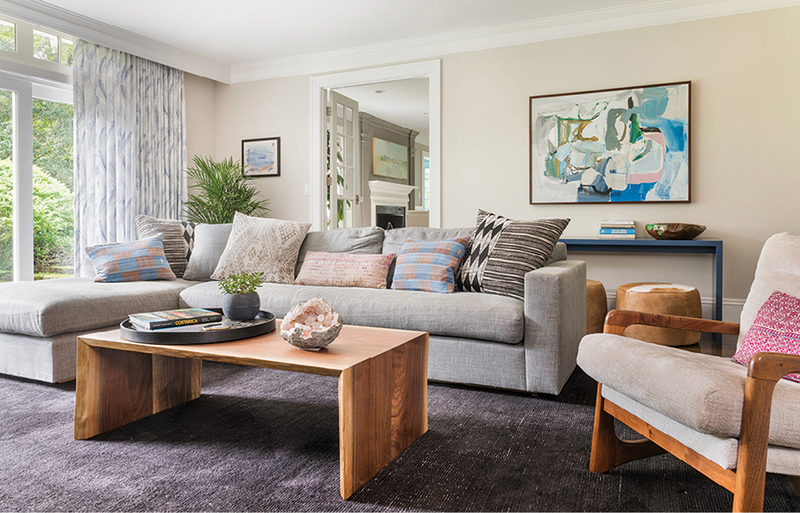 To that end, Megan hired interior designer Lindsay Bentis, with whom she shares a passion for blending contemporary and vintage décor—and a West Coast upbringing. 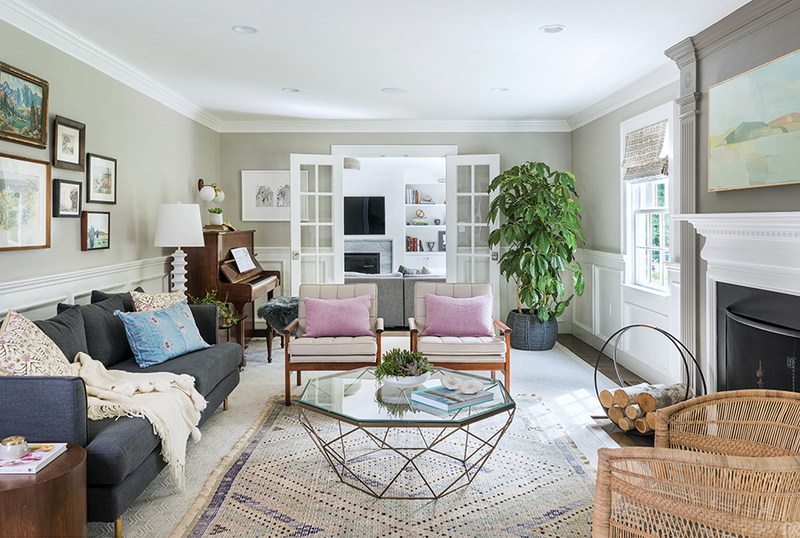 Bentis and Megan’s goal was to add more light to the house, Bentis says, while Duckham and Overstreet focused on making the space function better. The old Colonial “had a lot of cool character,” Overstreet says, “but the prior renovations were piecemealed together to gain square footage—and didn’t match the details of the original house.” To fix what he calls “the layout challenges”—the three-car garage, for example, opened directly into the middle of the family room—they bumped out the back of the house four feet and reconfigured the garage’s third bay to include a tiny office, a powder room, and a mudroom with cement tiles and built-ins for storage. Now there’s a more natural entry from the garage into the house—and a place to stash backpacks and boots. Next, they tackled the kitchen. Although brand-new when the Dyers purchased the house, it felt generic and uninspired. 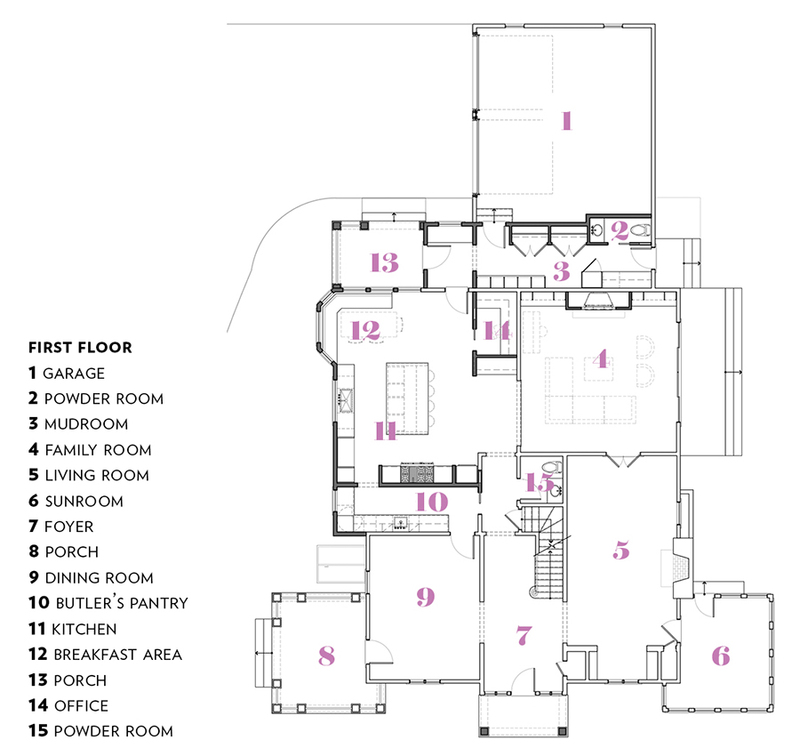 It featured just one small window and a skinny, multilevel island that served little purpose. 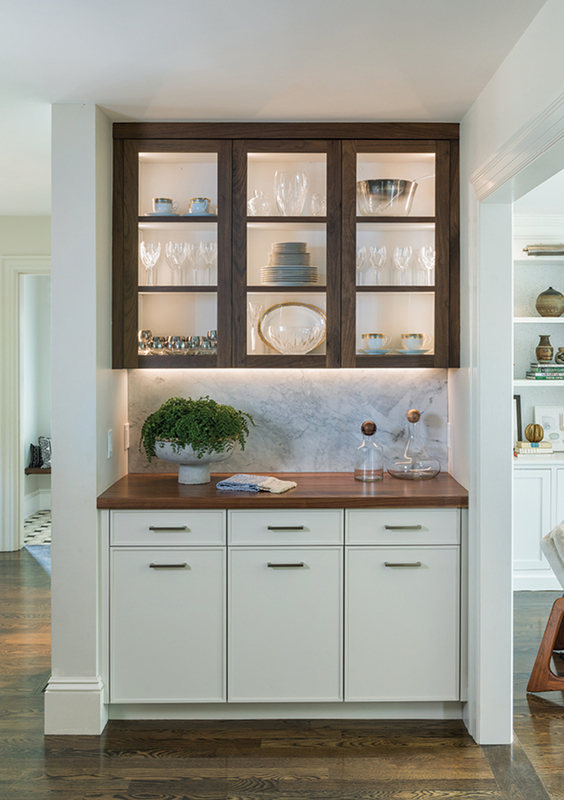 Megan and Bentis pored over potential layouts, landing on an eat-in kitchen with a “giant” island for friends and family to gather around and a large butler’s pantry for storage. 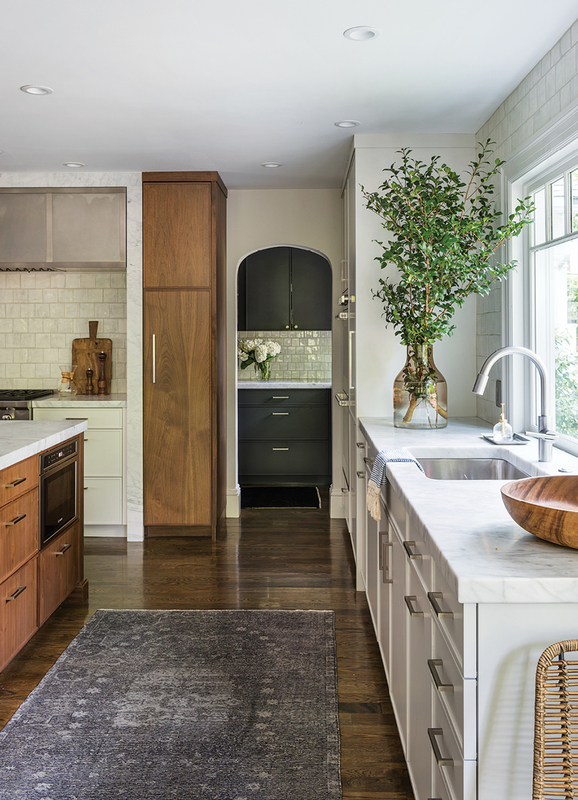 From there, they selected a stainless steel oven hood with marble framing that helped inspire the rest of the design. 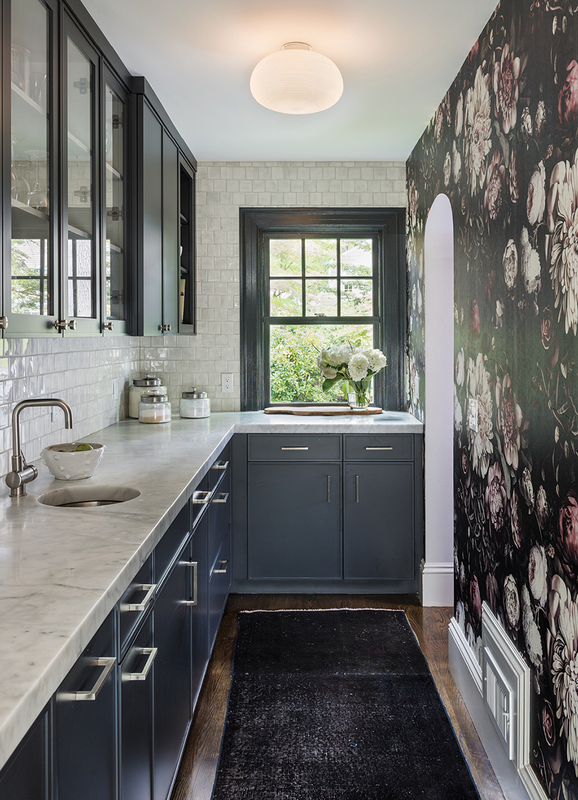 Notably, there are no upper cabinets, which allowed Overstreet to install a big picture window over the sink. And with the added square footage from the bump-out, he fashioned a bright and cozy breakfast nook in the corner with a built-in banquette and windows on both sides. Renovations continued in the family room, located just off the kitchen. There, a wood-burning fireplace flanked by two small glass-paned doors obstructed the family’s view to the yard. “It was depressing,” Megan says of the dimly lit space, and it had “no connection to the outdoors.” To remedy this, the team demolished the existing hearth and built a new one on an adjacent wall, surrounding it with Bentis-designed built-ins to display books, wooden bowls, and vintage pottery. In its stead, a wall of floor-to-ceiling windows now floods the space with natural light. 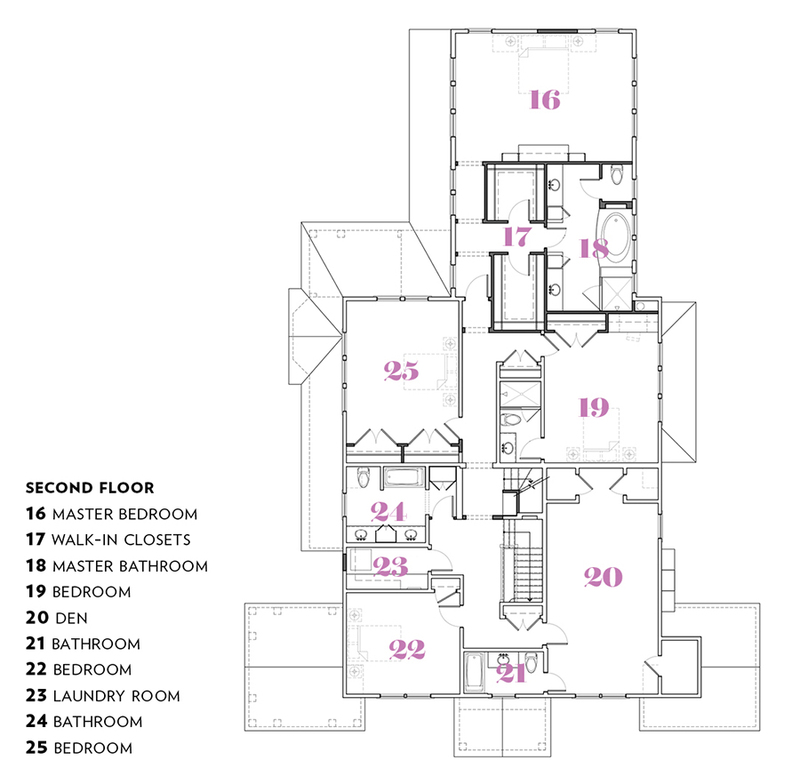 Lighting was also an issue upstairs in the master suite, due to poorly planned closets and a dearth of windows. The suite also lacked privacy, tucked up right next to the children’s rooms on the second floor, with a standard-issue bathroom placed awkwardly in the back. To create a buffer zone, Duckham moved the bathroom to the front of the room. 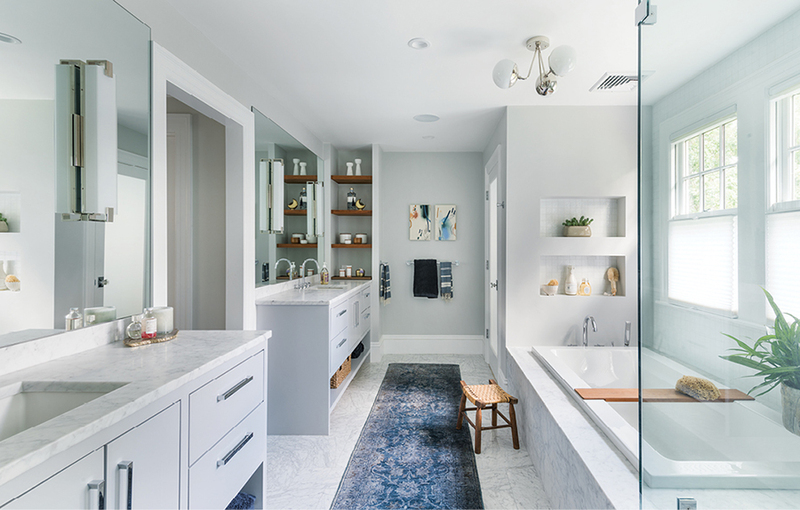 A new hallway connects the bathroom to the bedroom, which Bentis designed around two walnut-and-brass side tables she found in Los Angeles. 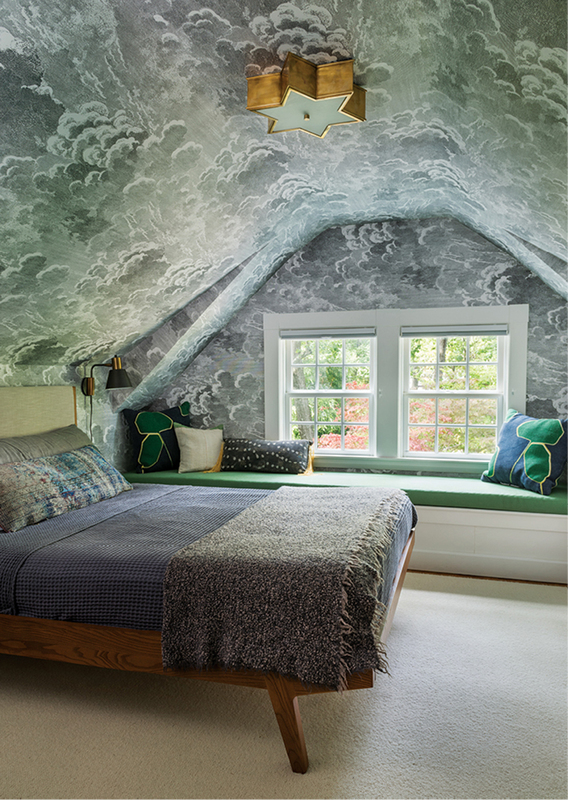 New windows and a patterned wallcovering by Eskayel complete the room. 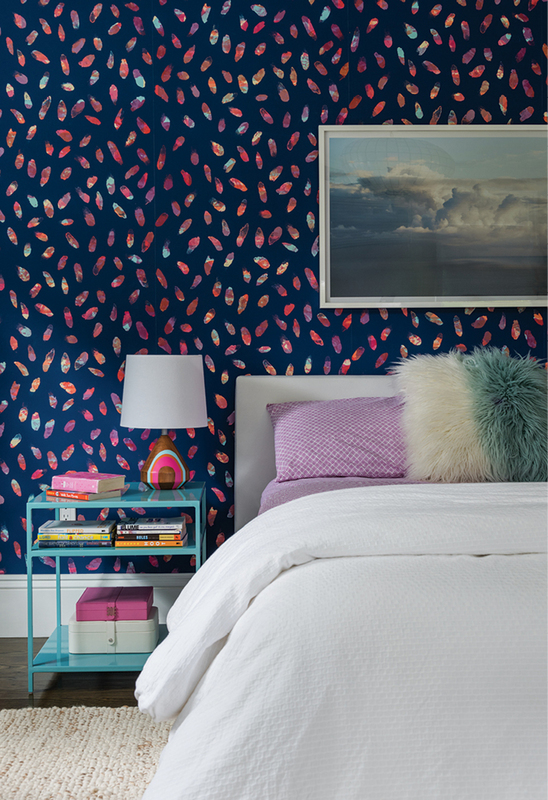 “Megan isn’t afraid to be bold with wallpaper,” Bentis says appreciatively.